As I highlighted in my report on the event, Saturday's Ironman Texas - North American Championship, represented a huge breakthrough performance for the hardworking Joe Skipper (www.joeskipper.co.uk), who took second place in without question his best ever race performance. In a start-list which included the likes of multiple Ironman champions Faris Al-Sultan, Andreas Raelert, Ben Hoffman, Ronnie Schildknecht, Jordan Rapp, Chris McDonald and Victor Del Corral, plus fast rising Canadian star Lionel Sanders, securing a big result in that field was always going to be a very tough ask - especially given some hot and humid conditions. I wanted to have a look at Joe's performance in a bit more detail, and highlight some important elements from what I'm sure will be one of the most popuar British results of the season. 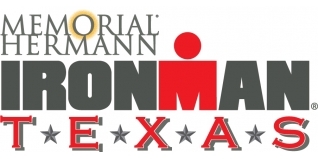 As a Regional Championship race, Ironman Texas carried a total prize purse of $150,000. For second place Joe will earn a cheque of $15,000. Now, before anyone thinks "wow, it's really cool being a Pro, nice kit, cool bikes, money and lots of travel", this, in sporting terms, will simply provide a very important lifeline to Joe. As he said himself "Thank god for that otherwise I would have been lining up outside the job centre on Wednesday morning." I don't think he is joking either. Joe almost didn't make the trip to the U.S. - where he has been for a month - because he couldn't afford the basic essentials, and only with the ongoing support of his parents was he present at the race at all. Having proven the ability and potential which many of have been able to see, if you are a brand looking to support an up and coming young athlete, then now is the time for you to get in touch with Joe and help him. As a Regional Championship event, Ironman Texas carried a P-4000 status in the Kona Pro Rankings (KPR), the method by which professional athletes qualify for Kona. Second place at Ironman Texas earns 3400 points which, together with points earned at Ironman Barcelona last year (540) and Ironman 70.3 New Orleans (75), gives him a current total of 4,015. That leaves him currently sitting at position 26 in the KPR. That isn't guaranteed Kona qualification for 2015 (yet)... but it's very close to the likely cutoff required. We know Joe will be racing at Ironman UK on July 19th (a race he has finished third and second in over the previous two seasons), and a decent result there (or perhaps at another 70.3 event beforehand), will be more than enough to have that qualification sorted without the need to chase points late in the year. (**note, given the accepted short run course at Challenge Weymouth 2014 (where Joe finished in 7:49:03 with a 2:29:40 'marathon'), combined with the shortened swim due to sea conditions, I'm excluding that from this analysis). Joe's bike split at Ironman Texas was 4:10:07, a phenominal time and a full 10 minutes quicker than Joe's planned / hoped for 4:20. How fast is that? Well, we 'believe' that only one athlete - Andrew Starykowicz - has cycled faster than that in Ironman racing previously. Bike Power - WATTS it all about? 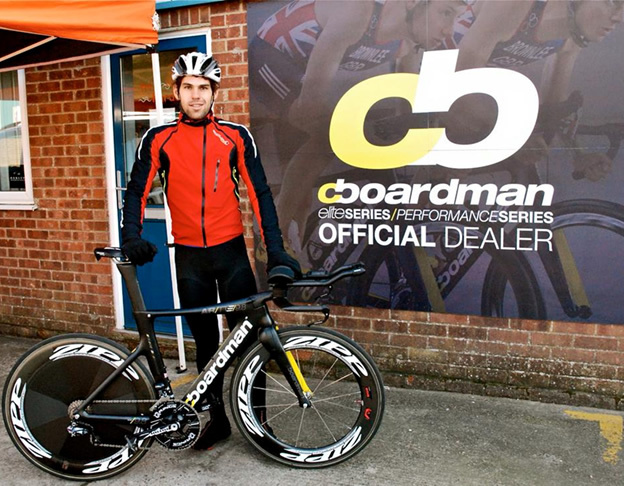 Joe was riding a Boardman TTE bike - we profiled it earlier in the season - and wearing an Endura QDC Race Skinsuit. You can see Joe's detailed bike data on Train Xhale (www.trainxhale.com) on THIS LINK. Joe has previously stated his goal of becoming the first British athlete to go under eight hours for the iron-distance and to become the British Ironman record holder. The high temperatures and humidty were certainly not ideal in terms of fast run times in Texas on Sunday, and while Joe held it together for a 3:04:35 marathon, all indications based on his training and prior Ironman record would suggest that around 2:50 or lower is cerainly within his normal limits. 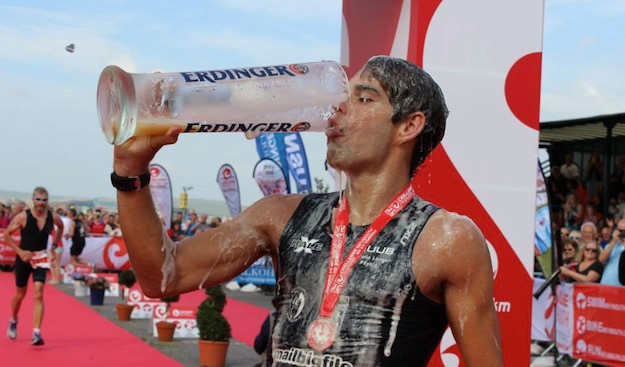 In milder conditions at say Klagenfurt (Ironman Austria) or Roth, that goal may well be achieveable. That said, the experienced Tim Don has been racing exceptionally over the 70.3 distance for the last 18 months, and won his first Ironman in Mallorca last year - will he aim to get there first?! British youth and experience will meet again in Kona this October, with the men hoping to match the achivements of the British women in Hawaii over recent years. Fun times.